Soyuz is a series of spacecraft designed for the Soviet space program by the Korolev Design Bureau in the 1960s that remains in service today. The Soyuz succeeded the Voskhod spacecraft and was originally built as part of the Soviet manned lunar programs. The Soyuz spacecraft is launched on a Soyuz rocket, the most reliable launch vehicle in the world to date. The Soyuz rocket design is based on the Vostok launcher, which in turn was based on the 8K74 or R-7A Semyorka, a Soviet intercontinental ballistic missile. All Soyuz spacecraft are launched from the Baikonur Cosmodrome in Kazakhstan. The Progress is a Russian expendable cargo spacecraft. Its purpose is to deliver supplies needed to sustain human presence in orbit. While it does not carry a crew it can be boarded by astronauts when docked with a space station, hence it being classified as manned by its manufacturer. Progress is derived from the manned Soyuz spacecraft and launches on the same vehicle, a Soyuz rocket. Vostok was a family of rockets derived from the Soviet R-7 Semyorka ICBM and was designed for the human spaceflight programme. This family of rockets launched the first artificial satellite and the first manned spacecraft (Vostok) in human history. It was a subset of the R-7 family of rockets. The Molniya, GRAU Index 8K78, was a modification of the well-known R-7 Semyorka rocket and had four stages. Fregat (Russian: Фрегат, frigate) is an upper stage developed by NPO Lavochkin in the 1990s, which is used in some Soyuz and Zenit rockets. Its liquid propellant engine uses UDMH and N2O4. The Phobos program was an unmanned space mission consisting of two probes launched by the Soviet Union to study Mars and its moons Phobos and Deimos. Phobos 1 was launched on 7 July 1988, and Phobos 2 on 12 July 1988, each aboard a Proton-K rocket. Between February 1, 2003 and July 26, 2005 with the grounding of the U.S. Space Shuttle fleet, Soyuz was the only means of transportation to and from the International Space Station. This included the transfer of supplies, via Progress spacecraft, and crew changeovers. Since the retirement of the Space Shuttle fleet in 2011, the U.S. space program is without any means to take astronauts into orbit, and NASA is dependent on the Soyuz to send crew into space for the immediate future. NASA is scheduled to resume crewed flights from the United States in 2019 through the Commercial Crew Development program. 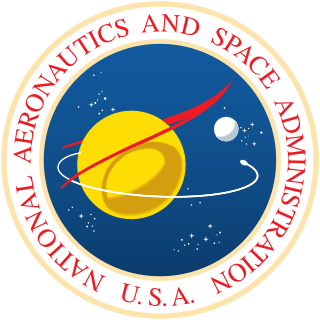 Commercial Crew Development (CCDev) is a multiphase, space technology development program that is funded by the U.S. government and administered by NASA. The program is intended to stimulate development of privately operated crew vehicles to be launched into low Earth orbit. The program is run by NASA's Commercial Crew and Cargo Program Office (C3PO). On 19 January 2005, the European Space Agency and the Russian Federal Space Agency agreed to launch Soyuz/ST rockets from the Guiana Space Centre. The equatorial launch site allows the Soyuz to deliver 2.7 to 4.9 tonnes into sun-synchronous orbit, depending on the third-stage engine used. Construction of a new pad started in 2005 and was completed in April 2011. The pad used vertical loading common at Guiana, unlike the horizontal loading used at the Baikonur Cosmodrome. A simulated launch was conducted in early May 2011. The first operational launch happened on 21 October 2011, bearing the first two satellites in Galileo global positioning system. The Soyuz-U and Soyuz-FG rockets are gradually being replaced by Soyuz-2 from 2014 onwards. Soyuz-U was retired in 2017,  while Soyuz-FG still carries astronaut crews to the ISS as of 2018 [update] . 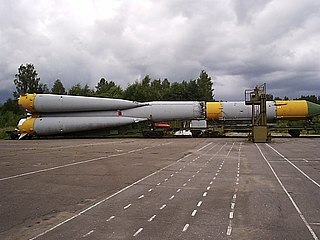 The rocket is assembled horizontally in the Assembly and Testing Building. The assembled rocket is transported to the launch site in its horizontal state and then raised. This is different from the vertical assembly of, for example, the Saturn V, and is one of the features that makes Soyuz cheaper[ citation needed ] to prepare for launch. The engines are ignited by electrically initiated pyrotechnic flares, mounted on birch poles, which are ignited at approximately T-20, a few seconds before fuel components are introduced into the combustion chamber. This sequence rarely fails due to its simplicity. During launch, the support booms track the movement of the rocket. After the support boom heads emerge from the special support recess in the nose sections of the strapons, the support booms and trusses disconnect from the rocket airframe, swiveling on the support axes and freeing the way for the rocket to lift off. During launch, the rocket and the launch facility form a single dynamic system. The Voskhod was a spacecraft built by the Soviet Union's space program for human spaceflight as part of the Voskhod programme. It was a development of and a follow-on to the Vostok spacecraft. Voskhod 1 was used for a three-man flight whereas Voskhod 2 had a crew of two. They consisted of a spherical descent module, which housed the cosmonauts, and instruments, and a conical equipment module, which contained propellant and the engine system. Voskhod was superseded by the Soyuz spacecraft in 1967. 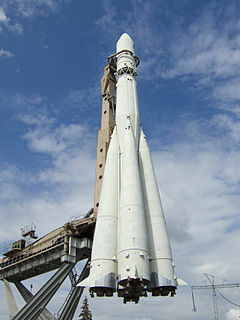 The Voskhod rocket was a derivative of the Soviet R-7 ICBM designed for the human spaceflight programme but later used for launching Zenit reconnaissance satellites. It consisted of the Molniya 8K78M third stage minus the Blok L. In 1966, all R-7 variants were equipped with the uprated core stage and strap-ons of the Soyuz 11A511. The Blok I stage in the Voskhod booster used the RD-107 engine rather than the RD-110 in the Soyuz, which was more powerful and also man-rated. The sole exception to this were the two manned Voskhod launches, which had RD-108 engines, a man-rated RD-107 but with the same performance. 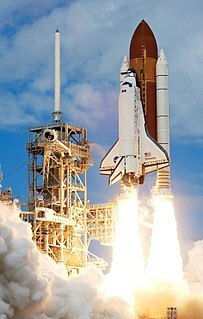 The Space Shuttle Solid Rocket Boosters (SRBs) were the first solid fuel motors to be used for primary propulsion on a vehicle used for human spaceflight and provided the majority of the Space Shuttle's thrust during the first two minutes of flight. After burnout, they were jettisoned and parachuted into the Atlantic Ocean where they were recovered, examined, refurbished, and reused. The N1 was a super heavy-lift launch vehicle intended to deliver payloads beyond low Earth orbit, acting as the Soviet counterpart to the US Saturn V. It was designed with manned extra-orbital travel in mind. Development work started on the N1 in 1959. Its first stage is the most powerful rocket stage ever built. Soyuz 7K-L1 No.4L, sometimes identified by NASA as Zond 1967A, was a Soviet spacecraft which was launched in 1967 as part of the Zond programme. It was a 5,390-kilogram (11,880 lb) Soyuz 7K-L1 spacecraft, the first of nine to be launched. Although it was intended to perform a circumlunar flyby of the Moon before returning to the Earth for landing, it failed to achieve Earth orbit. The Molniya-M, designation 8K78M, was a Russian carrier rocket derived from the R-7 Semyorka ICBM. The Luna 8K72 vehicles were carrier rockets used by the Soviet Union for nine space probe launch attempts in the Luna programme between 23 September 1958 and 16 April 1960. Like many other Soviet launchers of that era the Luna 8K72 vehicles were derived from the R-7 Semyorka design, part of the R-7, which is also the basis for the modern Soyuz rocket. The RD-0124 is a rocket engine burning liquid oxygen and kerosene in a staged combustion cycle. RD-0124 engines are used on the Soyuz-2.1b and Soyuz-2-1v. A slight variation of the engine, the RD-0124A, is used on the Angara rocket family URM-2 upper stage. RD-0124 is developed by Chemical Automatics Design Bureau. Progress M-08M, identified by NASA as Progress 40 or 40P, is a Progress spacecraft which was used to resupply the International Space Station. It was the eighth Progress-M 11F615A60 spacecraft to be launched, the fifth for the year 2010. The spacecraft was manufactured by RKK Energia, and was operated by the Russian Federal Space Agency. It arrived at the space station on 30 October 2010 whilst the Expedition 25 crew was aboard, and departed during Expedition 26 on 24 January 2011. Progress M-12M, identified by NASA as Progress 44 or 44P, was an unmanned Progress spacecraft that was lost in a launch failure in August 2011, at the start of a mission to resupply the International Space Station. It was the twelfth modernised Progress-M spacecraft to be launched. Manufactured by RKK Energia, the spacecraft was to have been operated by the Russian Federal Space Agency. The Algol family of solid-fuel rocket stages and boosters built by Aerojet and used on a variety of launch vehicles. It was developed by Aerojet from the earlier Jupiter Senior and the Navy Polaris programs. Upgrades to the Algol motor occurred from 1960 till the retirement of the Scout launch vehicle in 1994. The S5.92 is a Russian rocket engine, currently used on the Fregat upper stage. The S5.142 (AKA DST-25) is a liquid pressure-fed rocket engine burning N2O4/UDMH with an O/F of 1.85. It is used for crew-rated spacecraft propulsion applications. It was used in KTDU-80 propulsion module from the Soyuz-TM to the Soyuz-TMA-M, as the low thrust thruster (DPO-M). As of the Soyuz MS, KTDU-80 does not uses DPO-M anymore. Soyuz MS-10 was a manned Soyuz MS spaceflight which aborted shortly after launch on 11 October 2018 due to a failure of the Soyuz-FG launch vehicle boosters. MS-10 was the 139th flight of a Soyuz spacecraft. It was intended to transport two members of the Expedition 57 crew to the International Space Station. A few minutes after liftoff, the craft went into contingency abort due to a booster failure and had to return to Earth. By the time the contingency abort was declared, the launch escape system (LES) tower had already been ejected and the capsule was pulled away from the rocket using the back-up motors on the capsule fairing. Both crew members, Roscosmos cosmonaut Aleksey Ovchinin and NASA astronaut Nick Hague, were recovered alive in good health. The MS-10 flight abort was the first instance of a Russian manned booster accident in 35 years, since Soyuz T-10-1 exploded on the launch pad in September 1983. On 1 November 2018, Russian scientists released a video recording of the mission. ↑ "Soyuz launch vehicle: The most reliable means of space travel". European Space Agency. Retrieved 29 March 2013. ↑ Christian Lardier; Stefan Barensky (12 March 2013). The Soyuz Launch Vehicle: The Two Lives of an Engineering Triumph. Springer Science & Business Media. pp. 233–. ISBN 978-1-4614-5459-5. ↑ Stephen Clark (27 May 2014). "NASA's latest Soyuz seat procurement may be its last". Spaceflight Now. Retrieved 29 May 2014. ↑ "Molniya-M accident caused by engine failure or unfulfilled order". RIA Novosti. June 21, 2005. Retrieved 29 March 2013. ↑ Jonathan Amos (23 December 2011). "Another Soyuz rocket launch fails". BBC News. Retrieved 29 March 2013. ↑ "Closer ties between ESA and Russia". European Space Agency. 19 January 2005. Retrieved 29 March 2013. ↑ "Soyuz at the European Spaceport" (PDF). European Space Agency. Nov 2007. Retrieved 29 March 2013. ↑ "Soyuz launch site ready for first flight". European Space Agency. 1 April 2011. Retrieved 29 March 2013. ↑ "First Soyuz almost ready for launch from French Guiana". European Space Agency. 4 May 2011. Retrieved 29 March 2013. ↑ Chris Gebhardt (February 21, 2017). "Longest-serving rocket in history bids farewell with Progress MS-05 launch". NasaSpaceFlight.com. ↑ Zak, Anatoly (2016-03-17). "Russia Actually Lights Rockets With an Oversized Wooden Match". Popular Mechanics. Retrieved 2018-08-11. ↑ "Soyuz Rocket suffers rare Abort at Ignition – Soyuz | Resurs-P No.3 |Spaceflight101". spaceflight101.com. Retrieved 2017-12-04. ↑ "Soyuz Launch Vehicle". Starsem. Retrieved 29 March 2013. ↑ "Arianespace and Starsem to orbit COROT" (PDF). Starsem. Retrieved 29 March 2013. ↑ "Soyuz: Overview". Arianespace. Retrieved 29 March 2013. ↑ "Soyuz from the Guiana Space Centre: User's Manual" (PDF). Arianespace. June 2006. Archived from the original (PDF) on 13 August 2012. Retrieved 29 March 2013.